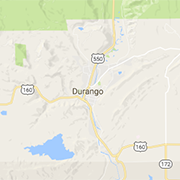 Find the most captivating night life and music in Durango! Downtown Durango offers galleries, dining destinations, concert and community halls and wild west attractions for tourists and locals. Classic family fun, brought to you by our AMF bowling alley, video game arcade, party room and great food. . . all under one roof at Sky Ute Casino Resort. The premier entertainment destination in the Four Corners and SW Colorado. EAT PLAY STAY WIN!